2.Let principle = P, Rate = R% per annum, Time = n years. 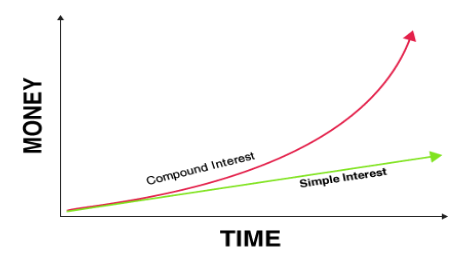 6.Compound interest is interest paid not only on the principle, but also on the interest that has already been earned. The formula for compound interest is given below. 7.The compound interest on Rs. 30,000 at 7% per annum is Rs. 4347. The period (in years) is?